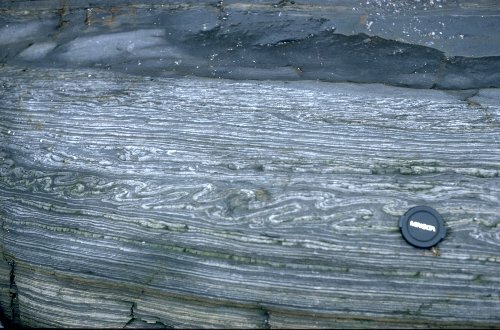 Interstratal soft-sediment folding in interbedded sandstones and mudstones. What is the evidence that folding occurred during, rather than after sedimentation? Which direction did the sediment move during deformation? What is the evidence?